Macy’s Insite is Macy’s employee webportal. Log in to your Macy’s associate account to check your work schedule, past paychecks and your benefits. Macy’s Insite is also the place to go for Macy’s company news, and for seeking new employment opportunities within the Macy’s and Bloomingdale’s companies. How do I Log In to My Employee Account? Enter your 8 Digit Macy’s Employee ID and your Pasword to log in. Remember: Passwords are at least seven characters long, and contain at least one number (0-9), at least one letter (a-z or A-Z), are case sensitive and expire after 60 days. To sign in to your Macy’s ‘My Insite’ account, visit this link, and click on the “Sign In” tab. You will need to enter your Macy’s or Bloomingdale’s employee ID and password. Remember to check that your CAPS LOCK key is OFF on your keyboard as passwords are case-sensitive. Try logging in from another computer or mobile device. Try logging in with another browser, i.e Chrome, Mozille or Microsoft Edge. 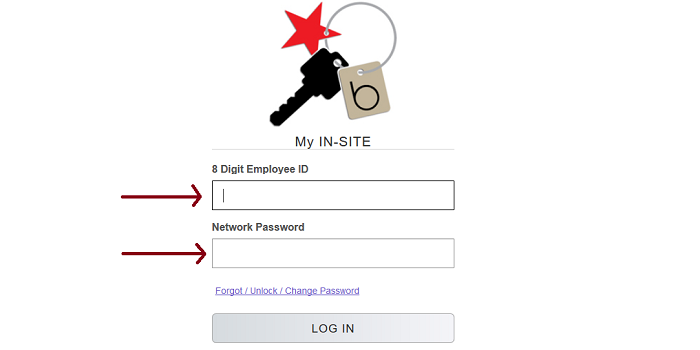 You can also get to the Macy’s login page by visiting http://www.employeeconnection.net/ and clicking on the “My Insite” tab in the top right corner. Resetting Your Macy’s Insite Password. If you have forgotten your password or you want to change it, you will need to visit Macy’s Password Manager, and enter your employee ID and PIN number (last 4 digits of your SSN). New Macys Insite passwords will expire after 60 days. The system allows you 5 invalid attempts. After that it locks you out. So, before you get to five attempts, you should click the ‘Forgot/Unlock Password’ link and reset your password. What is Macy’s Insite Phone Number? If you are a current Macy’s associate, you can log in to the My IN-SITE website and click on “AskHR” to find answers to the most commonly asked questions or you can submit a case to the Macy’s Associate Support Center. The phone number for Macy’s Associate Support Center is 1-800-234-6229. You can also ask questions, or share your My Insite experiences, in the comment section below. 2.1 Resetting Your Macy’s Insite Password. 2.2 What is Macy’s Insite Phone Number?